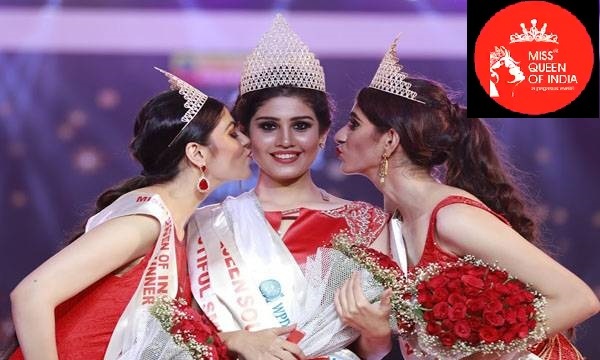 Miss Queen of India 2018 winners List : Lekshmi Menon from Thrissure , Kerala won the title of Manappuram Miss Queen of India 2018. Simran Malhotra from Punjab won the first runners up title. Aiswarya Sahdev from New Delhi is the Second runners up. 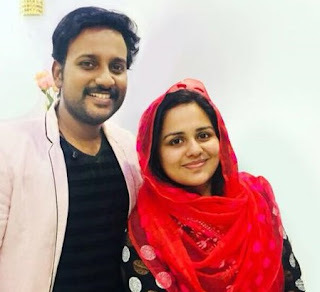 They were selected from 19 contestants from various parts of India. Previous year winner Ms. Akansha Misra crowned the overwhelmed Miss Queen of India 2017 winner. The contest was conducted in three rounds: Designer saree, Black cocktail, and Red gown. The specialty of this beauty contest is the lack of swim suit round.Miss Queen of India presented by Manappuram Finance Ltd and Powered by Sera, DQue Watches, and T-Shine. An event by Pegasus and directed by Dr. Ajit Ravi Pegasus. 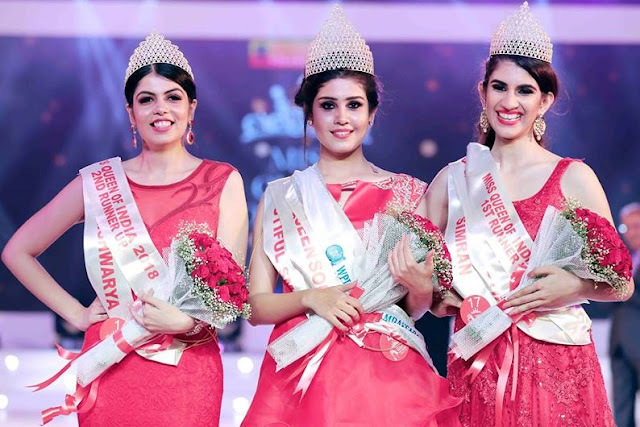 The 8th edition of Miss Queen of India was conducted at Camilot Convenction Cente in Alappuzha , Kerala. The event directed by Ajit Ravi Pegasus with Manappuram finance Ltd as the main Title Partner of the event. The event tested the skills and talents of the 16 finalists to see if they are worthy for the ultimate title of Miss Queen of India. In addition to the title winners, there were four regional title winners and 12 subtitle winners. They are the subtitles to win are Miss Beautiful Hair, Miss Beautiful Smile, Miss Beautiful Skin, Miss Beautiful Face, Miss Beautiful Eyes, Miss Congeniality, Miss Personality, Miss Cat Walk, Miss Perfect 10, Miss Talent, Miss Viewer’s choice, Miss Social Media and Miss Photogenic. There would also be regional titles, Miss Queen North, Miss Queen West, Miss Queen East & Miss South to win. The winners was crowned with a gold plated crown designed by Parakkat jewellers.